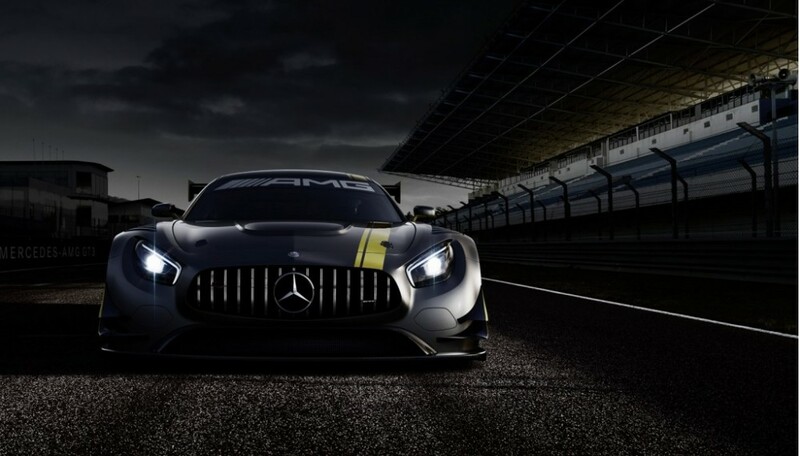 Something fast is coming from Mercedes-Benz. 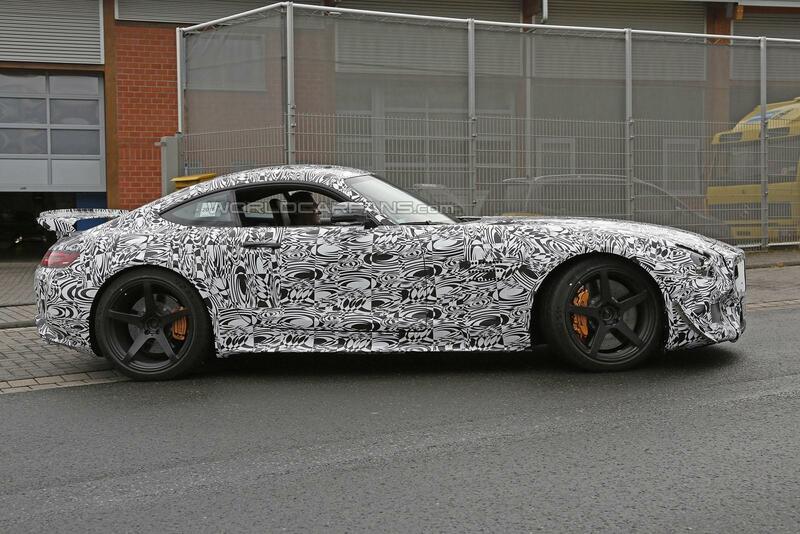 Could this be it? 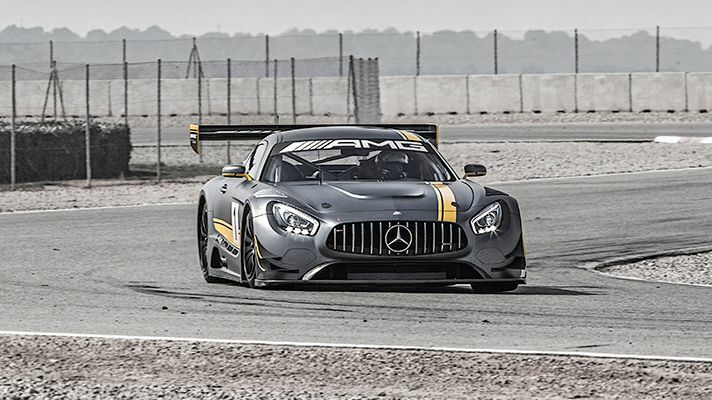 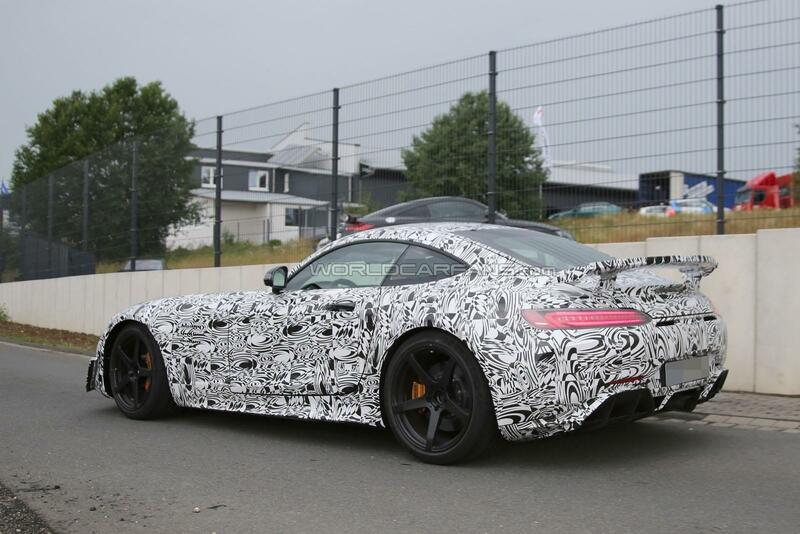 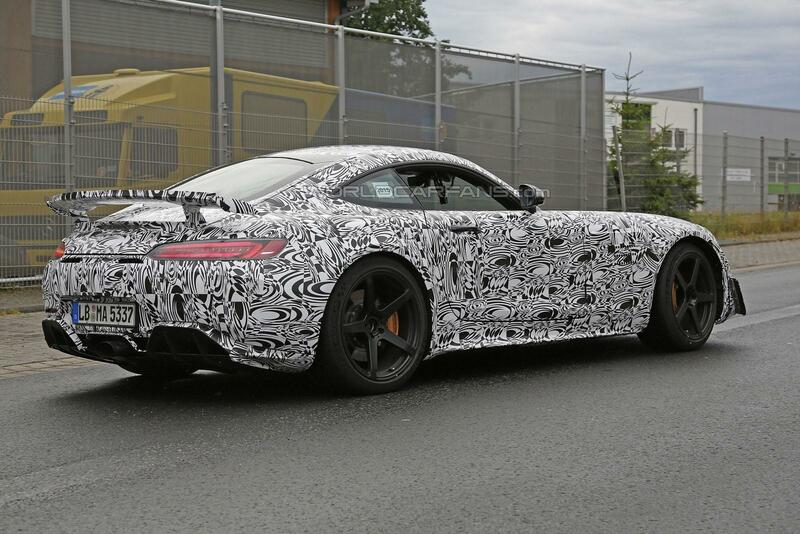 Mercedes recently said “something fast is coming” and it appears it could be the road-going version of the AMG GT3 as our spies have caught the model wearing less camouflage than ever before. 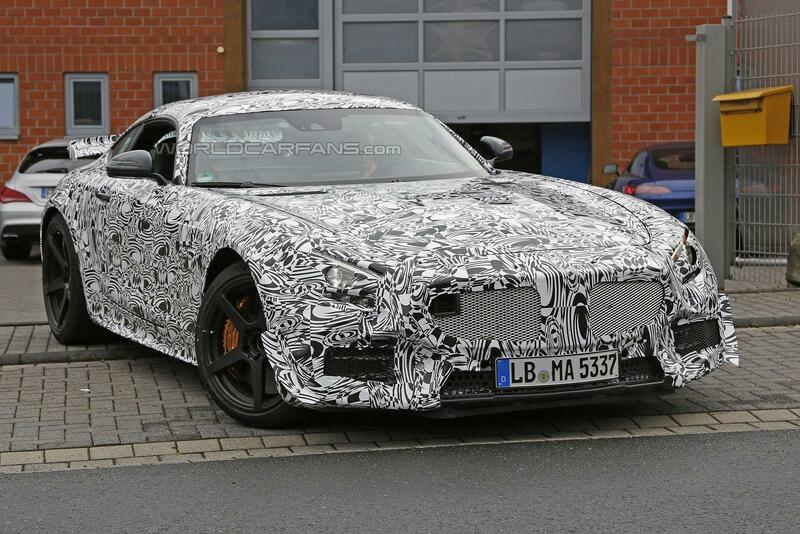 Looking decidedly more aggressive than the AMG GT S, the high-performance variant has a new front bumper with carbon fiber flics and what appears to be a front splitter. 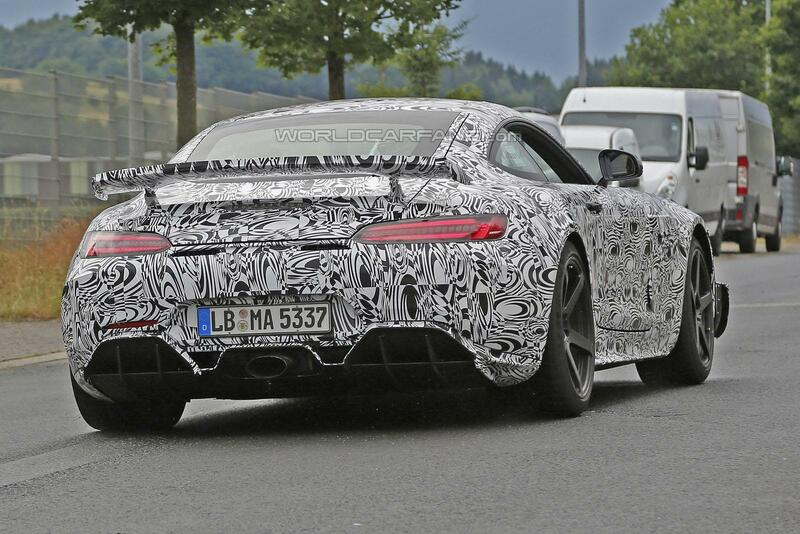 Moving further back, we can see a prominent rear wing and a unique rear end with an aggressive diffuser and a center-mounted exhaust system. 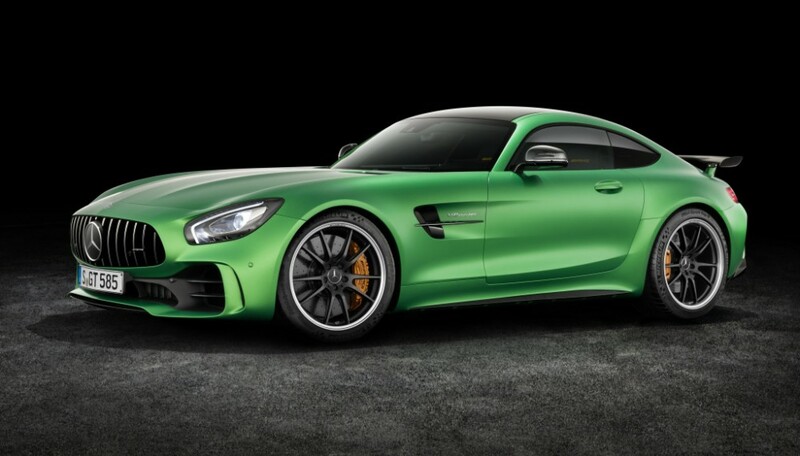 The model also has five-spoke alloy wheels that are backed up by a high-performance braking system with golden calipers. 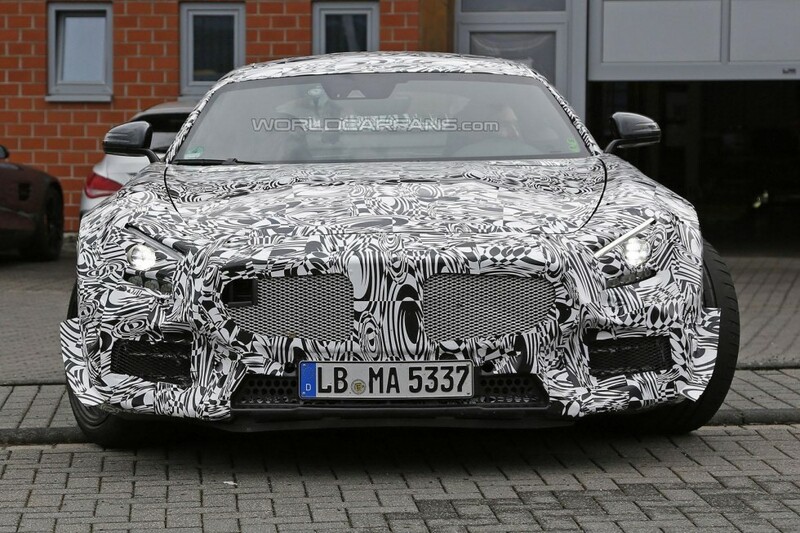 Mercedes is keeping specifications under wraps but AMG CEO Tobias Moers previously hinted the model will be lighter than the GT S and have a twin-turbo 4.0-liter V8 engine that develops approximately 550 PS (404 kW).